In November, FogBay posted on the Princess Taiping, a small Chinese junk of 600-year old design, and her attempt to sail from China to San Francisco and back again. Last night the vessel's attempt was ended, just hours before completion of the 17,000 mile voyage, when a huge freighter collided with the junk, cutting it in two and sinking her near Taiwan. All 11 crew members were rescued and treated for hypothermia. Love it or hate it, Critical Mass is a force that can't be ignored in over 325 cities, around the world today. 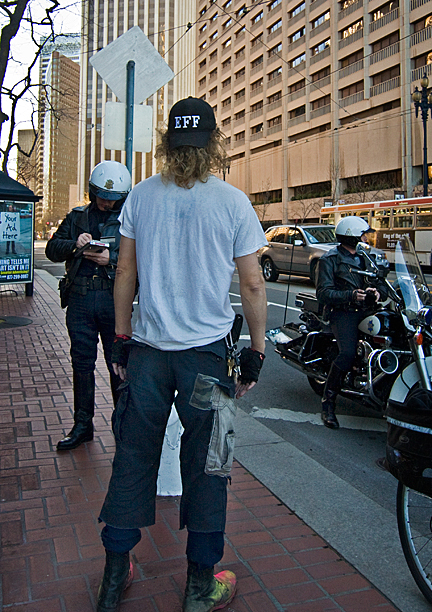 The grass-roots movement started on September 25, 1992 in San Francisco by a few dozen bicyclists attempting a 'Commute Clot' to take back the streets from cars. The political-protest rides grew in size and soon a thousand or more bicyclists were joining the monthly rides. It is hard to capture in photos the size of Critical Mass as it takes quite a while for all the riders to pass any given spot. One of the purposes of the event is to shutdown motorized traffic and take over the streets. The name 'Critical Mass', was coined as car traffic would be stopped at intersections while the huge mass of bike riders would pass through. Nearly every San Francisco driver has sat at an intersection on a Friday night while hundreds and hundreds of raucous bicycles whiz by ignoring traffic lights and right-of-way rules. 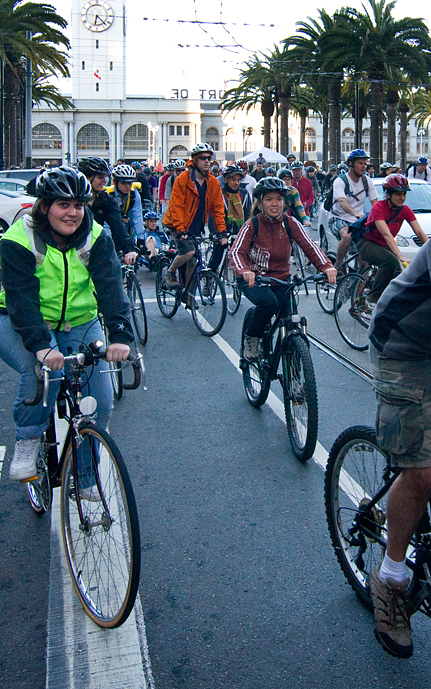 Critical Mass is spontaneously organized with no membership, leadership or predetermined route, this is just one of the concerns that authorities have while trying to coordinate safety. Some see the event as a pure celebration of freedom and a protest against global warming, while others view it as a confrontational takeover of the streets by mob rule. However you feel about Critical Mass, it has struck a common note and spread worldwide. One Critical Mass ride in Budapest, Hungary in April of last year attracted over 80,000 bicyclists.